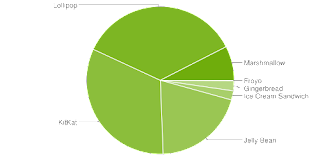 Okay, it's my fault, now and again I turn on my HTC Dream ... that's probably the 0.1%. 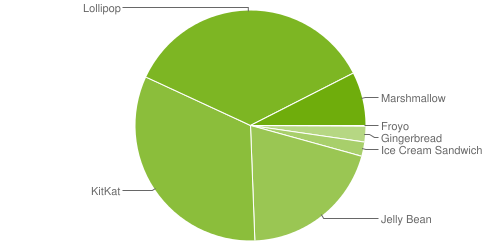 Google released the Android platform distribution chart for their May numbers. These show little change one month to the next for most of the versions, but Marshmallow grew again. It had gone from 2.3% - 4.6% and then grew to 7.5% this month. Not doubling like last month, but still a bigger gain than before. The gains made by Marshmallow came at the cannibalization just some small drops across the board (most notably would have been 4.2 which lost 0.5%).